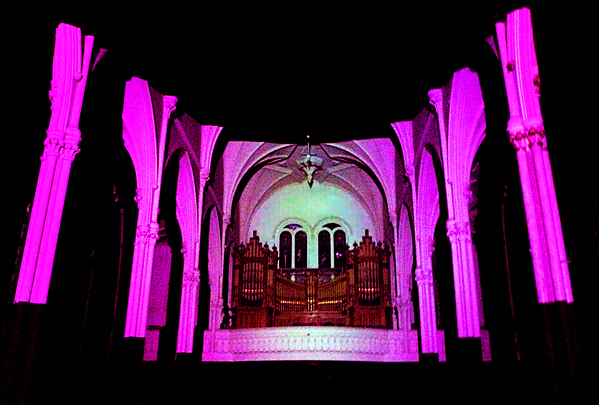 The exhibition "Preternatural" dealt with a liminal conceptual space, between objectivity and the metaphysical, and made palpable in several contemporary art forms. Though not organized as such, several themes permeated the exhibition; science invoked to show the extraordinary; the spiritual made manifest and sensual; and subtleties that delivered surprising multivalance. 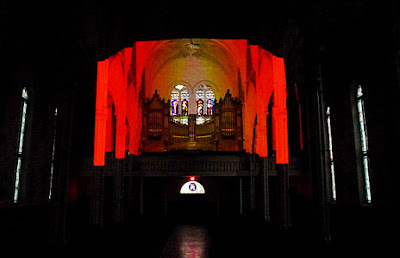 Curator Celina Jeffery tested epistemological limits and even offered compelling counterexamples to James Elkins's observed disconnection between spirituality and contemporary art. 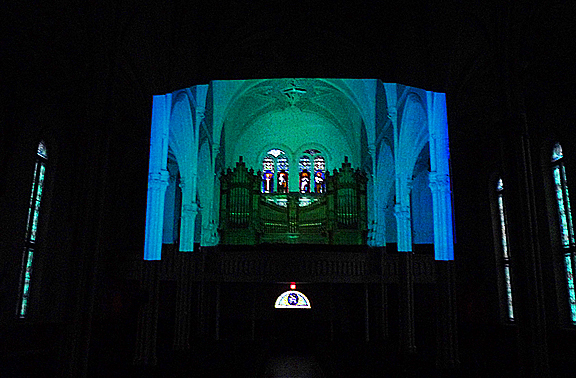 It was fitting to frame a show about unconventional perceptions in three idiosyncratic spaces: a deconsecrated Catholic basilica, a white-box gallery in a strip mall, and a natural history museum. 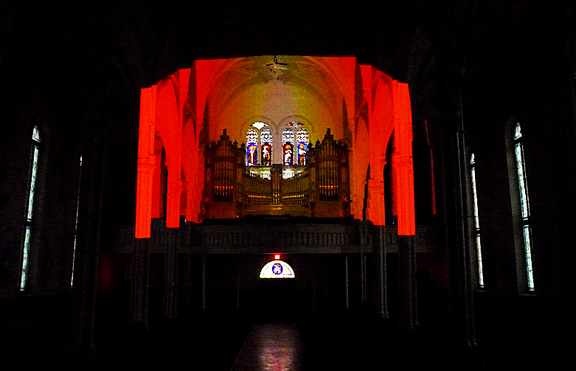 The former St. Brigid's Cathedral, now St. Brigid's Centre for the Arts, is the most obvious space to evoke the spiritual. 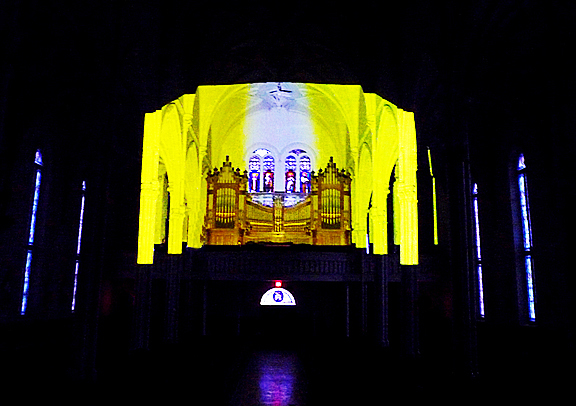 In a site-specific performative intervention in the basilica, Anne Katrine Senstad transformed the structure's east and west ends with a light-and-sound installation, "The Kinesthesia of Saint Brigid" (2011). 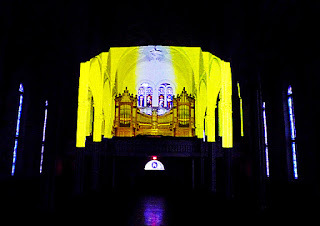 The references to light organs were unmistakable as Senstad projected colors near the church's architecturally scaled pipe organ, comprised of shifting luminous fields that caused retinal apparitions. 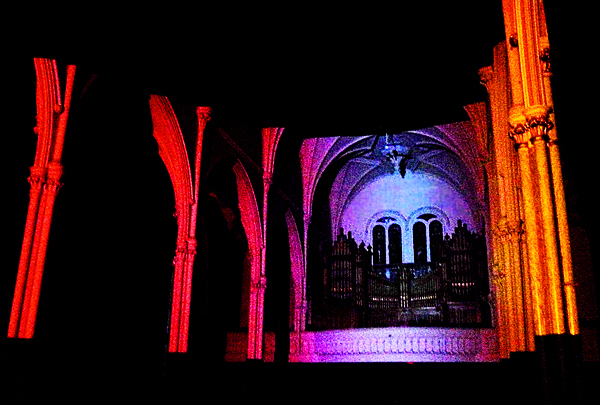 At this size, the saturated projections were an attempt to impress upon viewers something of the numinous grandeur evoked in color-field paintings the ineffable claimed by Barnett Newman and Mark Rothko. among many others. The accompanying music by J.G. Thirlwell added cinematic majesty through its modulated, meditative monotones. Octavia Art Gallery is pleased to present Back and Forth, a group exhibition including works by Gil Bruvel, Jerry Cabrera, Bradley Kerl,Jeffrey Pitt, Mason Saltarrelli, Regina Scully, Anne Senstad and Ken Tate. In celebration of our 10-year anniversary this exhibition celebrates the past, present, and future of Octavia Art Gallery. Established in 2008, Octavia Art Gallery expanded in 2013 from its Magazine Street location onto Julia Street in the heart of the New Orleans Arts District andopened a second location in the River Oaks community in Houston, Texas.Over the years, Octavia Art Gallery has continued its commitment to showcasing the work of local, national, and international emerging and established artists along with modern masters, emphasizing the preservation and conservation of unique and authentic artistic cultures worldwide. The gallery also continues to offer a broad selection of works from 20th century artists. Out of the group of artists featured in our Back and Forth exhibition, 4 of these artists have been an integral part of Octavia Art Gallery’s program for several years including Gil Bruvel, Jerry Cabrera, Jeffrey Pitt, and Regina Scully. 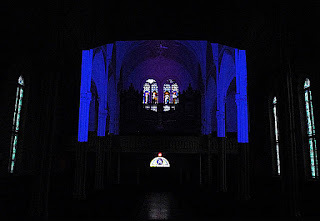 Their works explore various concepts such as perception, movement and energy, time and space, and the current state of our environment and our world. 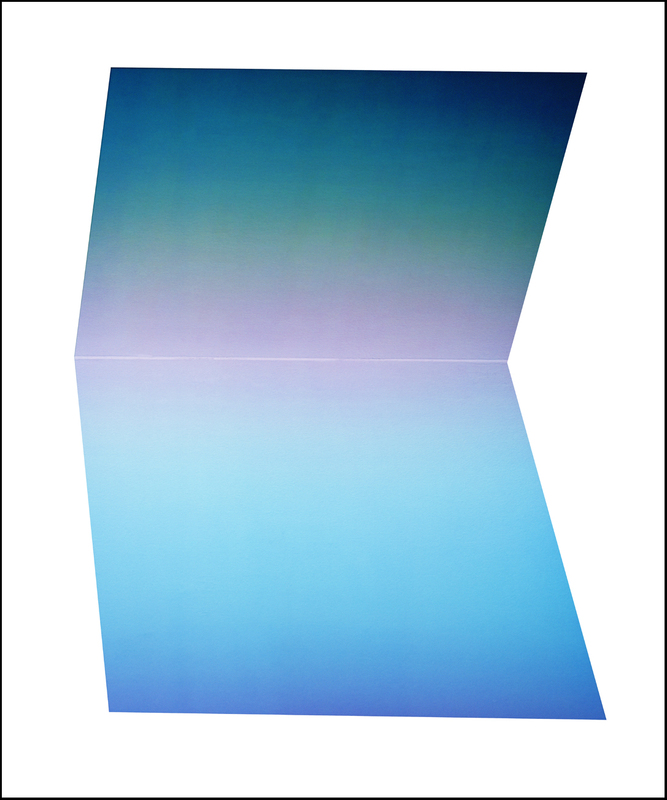 Although their unique styles vary vastly, these artists all use distinguishing forms of abstraction to express their individuality and to tell their stories. Additionally, we are pleased to present the works by Bradley Kerl, Mason Saltarrelli, Anne Senstad, and Ken Tate. These artists offer a unique diversity for the present climate of the gallery’s program. Their works lean towards a more literal and representational visual language, focusing on themes such as metaphorical narratives, relatable idyllic still lives, experimental expression and the phenomena of ocular perceptions.